A big treat this week, a chance to see what you can do with a camera, some motors and a lot of ingenuity. See the description below in Alan’s own words. Doors open at 18:45 and the talk will start promptly at 19:15, please be on time. Of course you’re welcome to come along and work on projects as usual. Parking is free after six o’clock in the Suffolk New College car park which is right next door to the venue. You can get directions on how to find us here. Doug has been Painting with Light (PwL) for several years, but manual movement of the camera is very time consuming and can’t be programmed, or repeated. 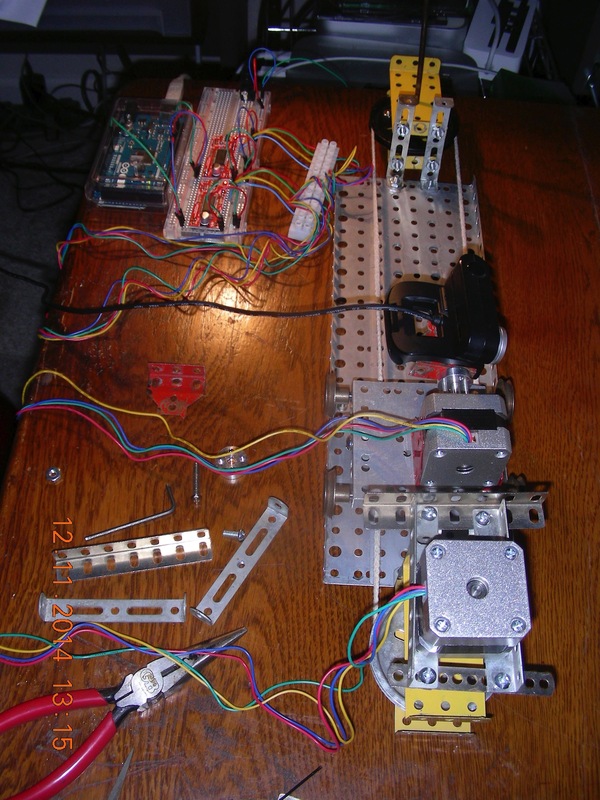 By creating a mechanical rig, driven by stepper motors and the Dragonframe Stop Motion Animation (SMA) software, he wanted to automate the shooting process. This would allow him to focus on PwL and scene movement. 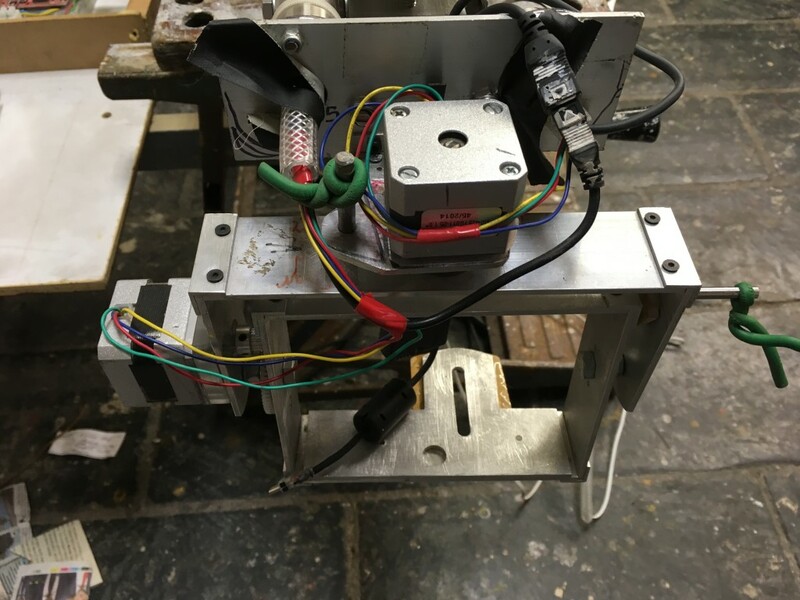 Along with demonstrating the process used to create the video, we’ll discuss aspects of designing and building the rig (fabrication, electronics, programming and testing). Doug would like to get ideas for his next project, which will add 2D real camera movement, plus animation of objects and scenery. He’s looking for collaborators who are interested in the art!